“Sometimes, the hunger never stops. It scratches and gnaws at you until you feel as if your teared apart from the inside out. It’s only a matter of time until your fully lost in the madness for eternal hunger. 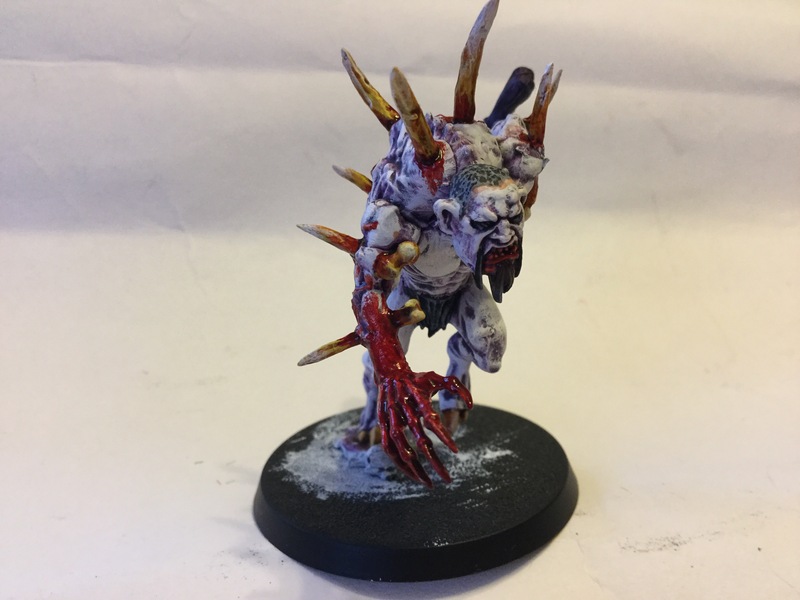 Humans are susceptible to the cursed gaze of the Ghoul kings madness, the most common of races to be controlled by the half living kings. The liverbone court has however used its influence on other races to bolster its forces to retake the old kingdom of Ashtheon. 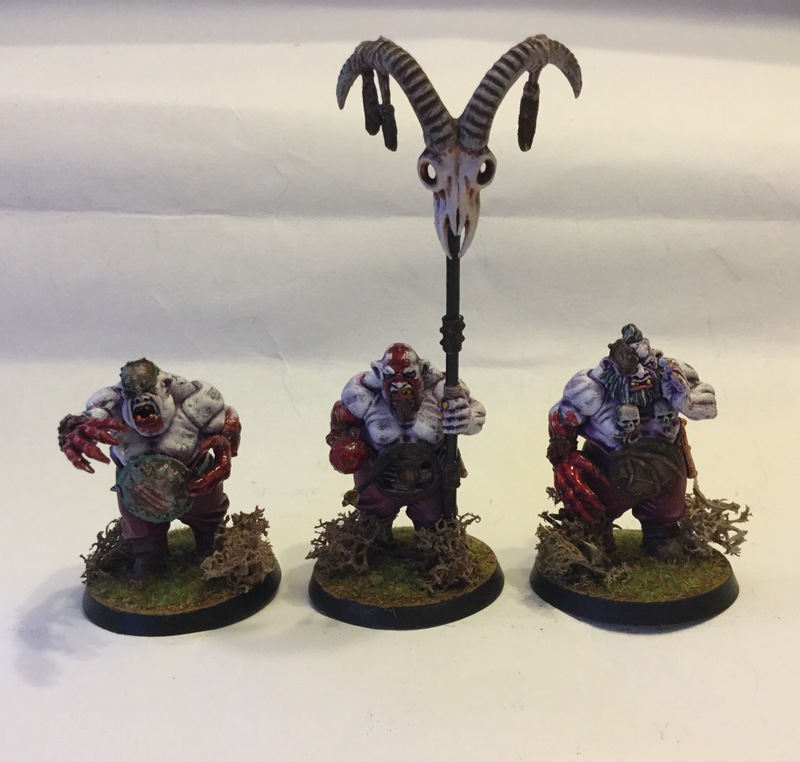 As of known record, only one race, the Ogres, have been seen within the forces, both as bodyguards and high ranking butchers of the court. 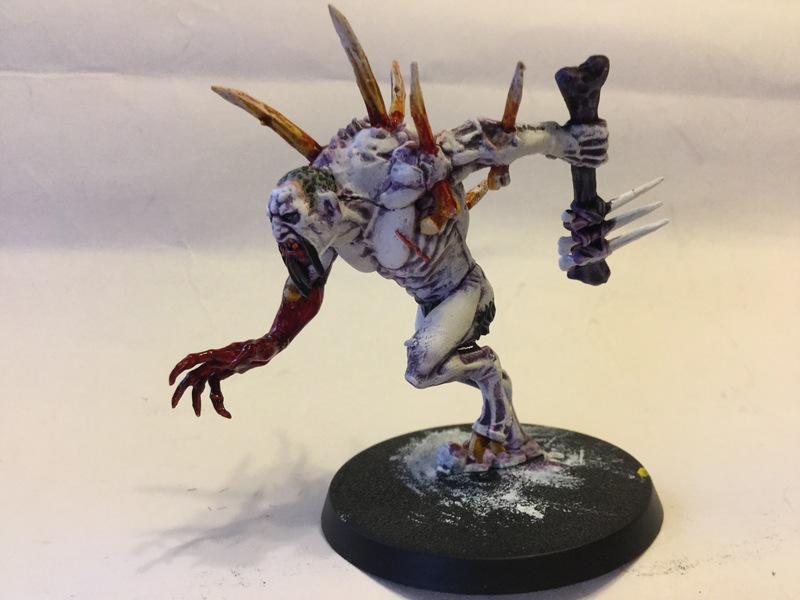 -Necromancer Xarvan, book of flesh and possession. 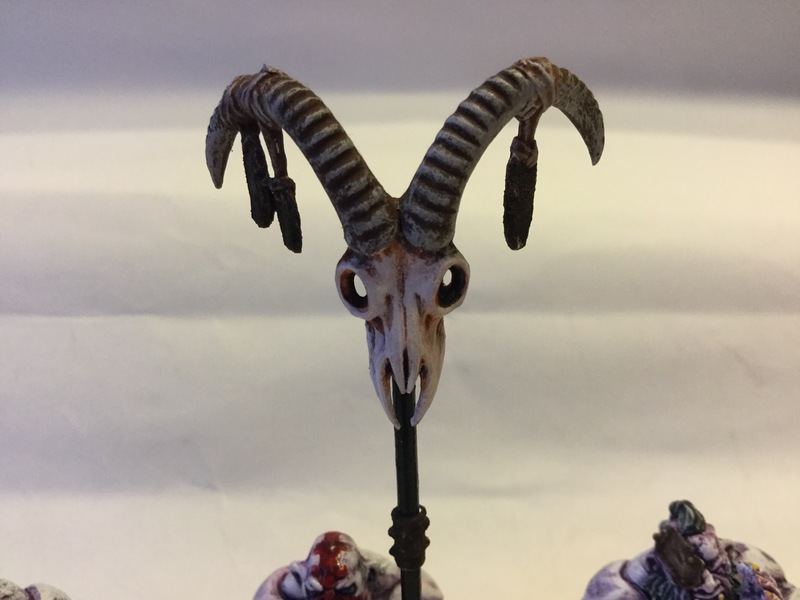 This week I’ve been able to finish off my Crypt Haunter Courtier, painting his bone weapon and decorating the base. I’ve also decided to do some test photography on the model collection, having a visual reference to see how it’s shaping so far. (Also, if you look carefully you might be able to see what will come next from collection in the post series 😉 ). 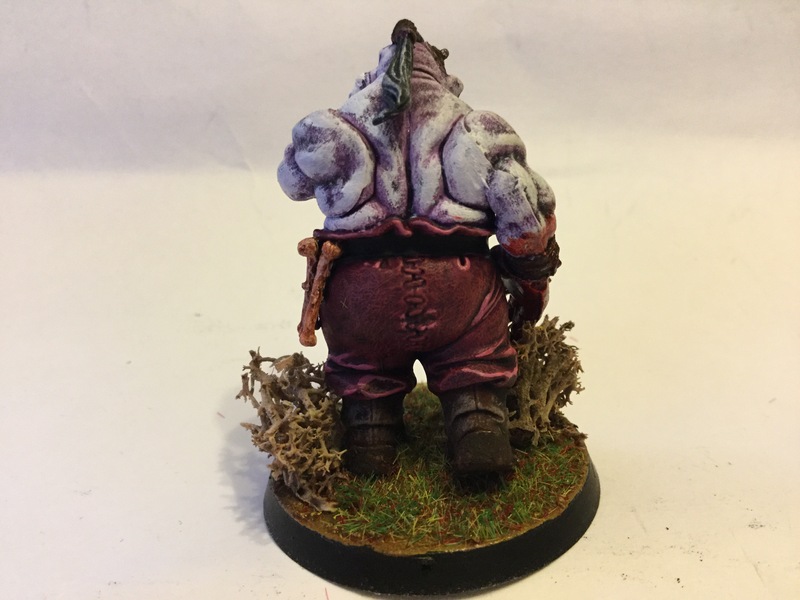 I’m falling in love with this model, comparing it to the Ogres size is obvious enough, but at the same time fits nicely into its own bodyguard unit. 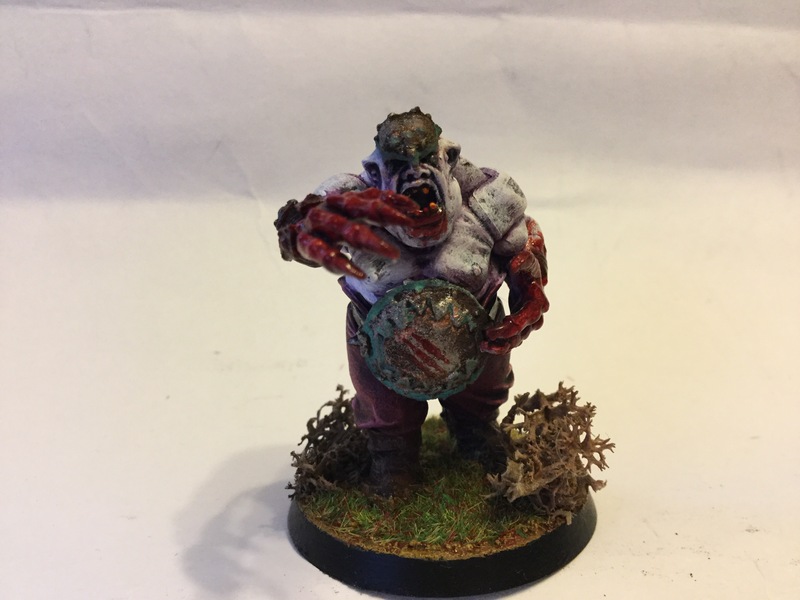 The paint pallet for the model works well for its appearance, thankfully not cheesy or OTT in presentation. 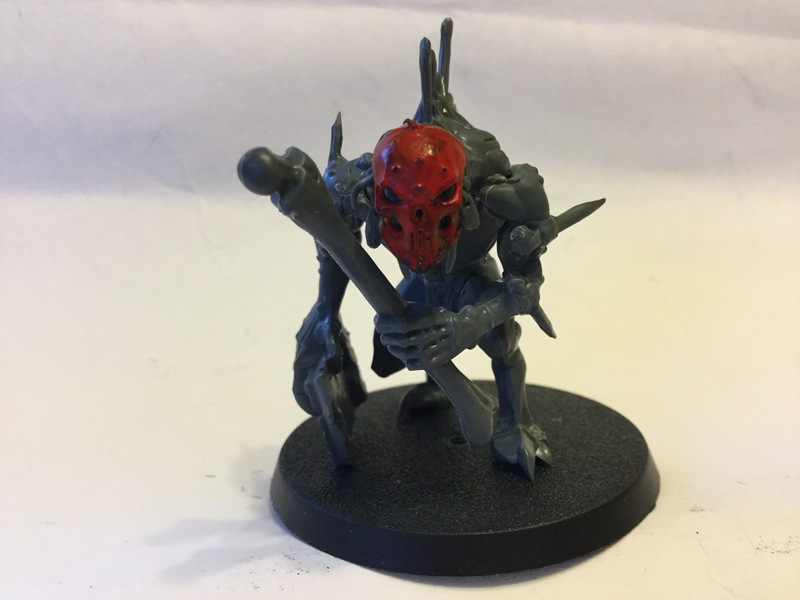 So far I’ve been impressed with the current model painted, they look cohesively close as a whole army. 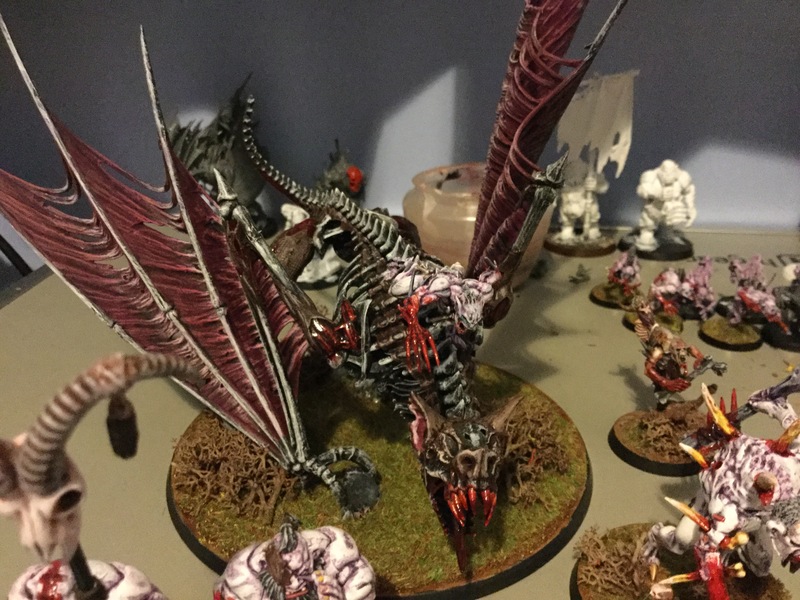 I think my only doubts are the Ghoul king on foot and the Crypt Ghast Courtier, as they don’t like they are suited to the army’s heraldry colours. I might improve them if it’s getting on my nerves too much. 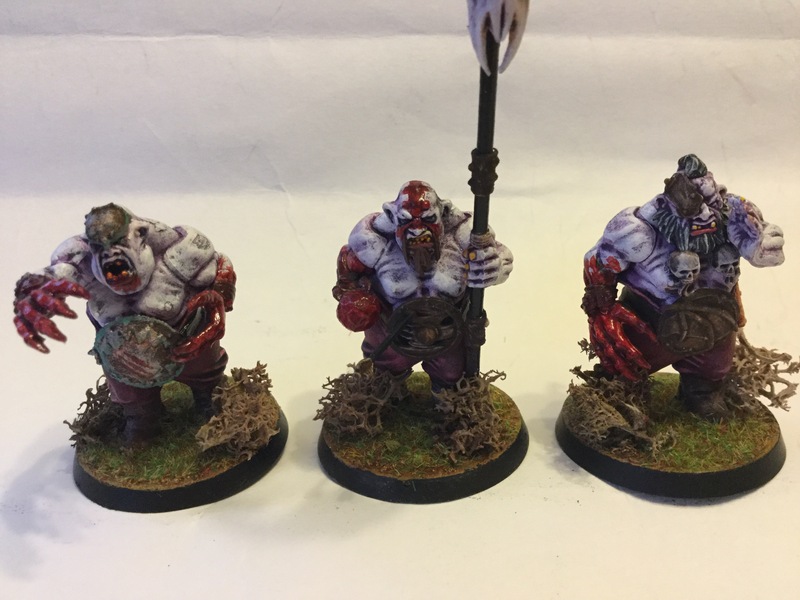 Very soon I’ll be doing a new post on scenic photography with these Ghouls, using scenery and grass mat to create a fantasy collection setting display. Can’t wait to try that out soon! Hope you guys have enjoyed the post. If you have any questions, post a comment below and I’ll reply back as soon as I can. Thanks! 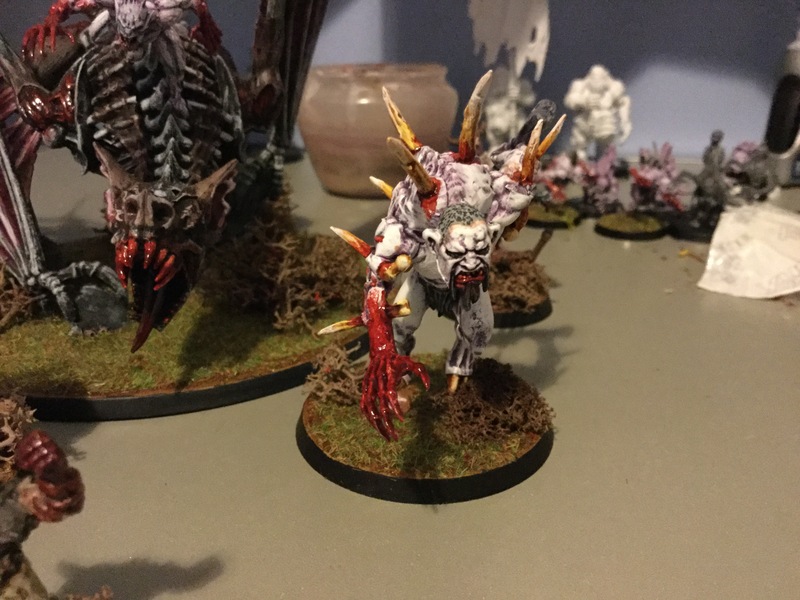 Production has been going at a better pace now that I have my own workspace to do my modelling, surprisingly a lot more models are now completed! 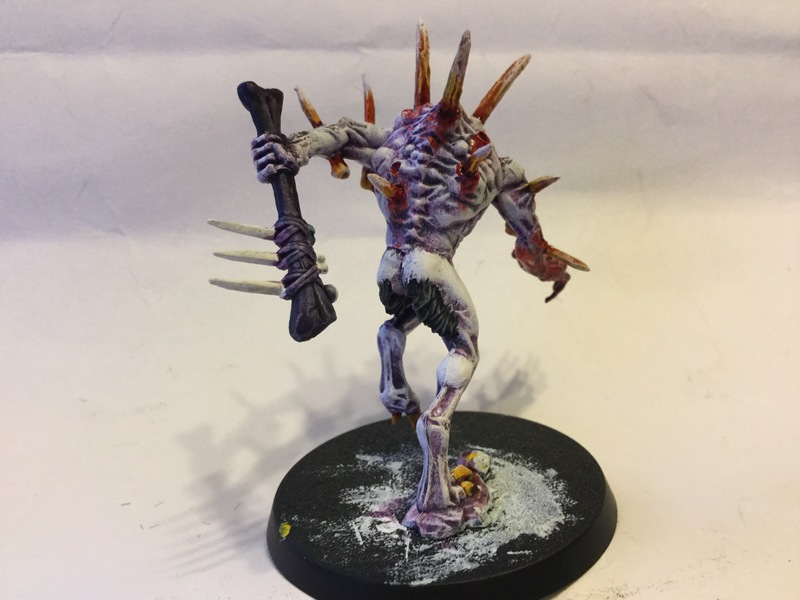 So far, I’ve managed to paint my Abhorrent Ghoul King, 3x Crypt Horrors, and based my two Crypt Ghast Courtiers and Ghoul king on foot. 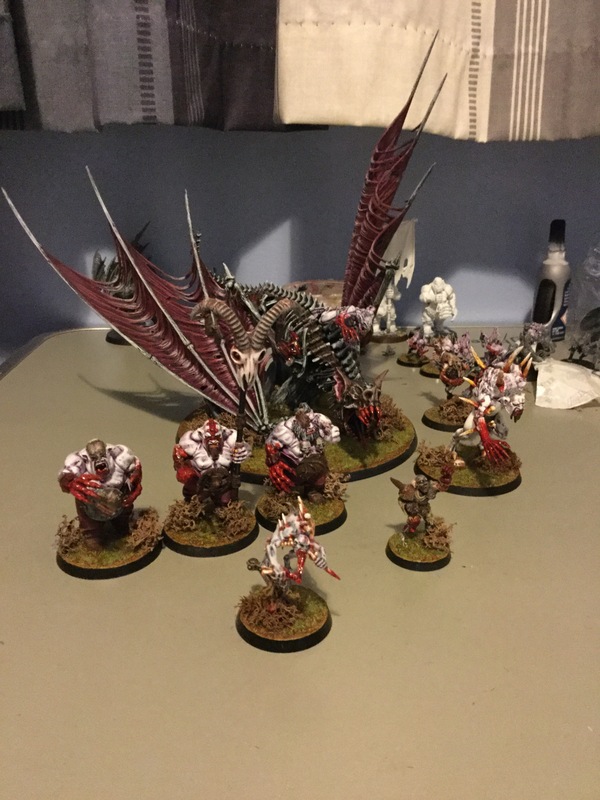 The collection is slowly showing its own identity now that a few units have been painted, showing diversity in each units colour scheme and alterations. 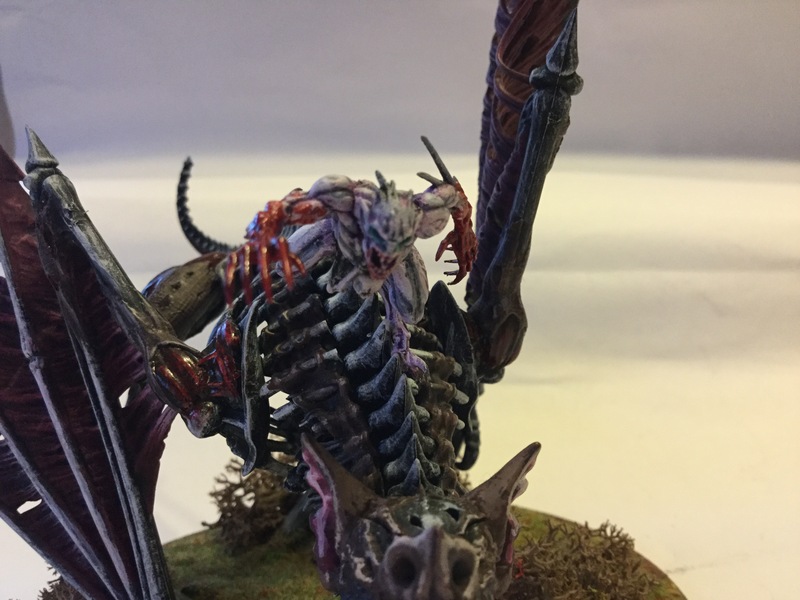 I would like to add more races into the army, such as Fyrslayers and Elven models to be Ghoul Kings/ Crypt Ghouls. 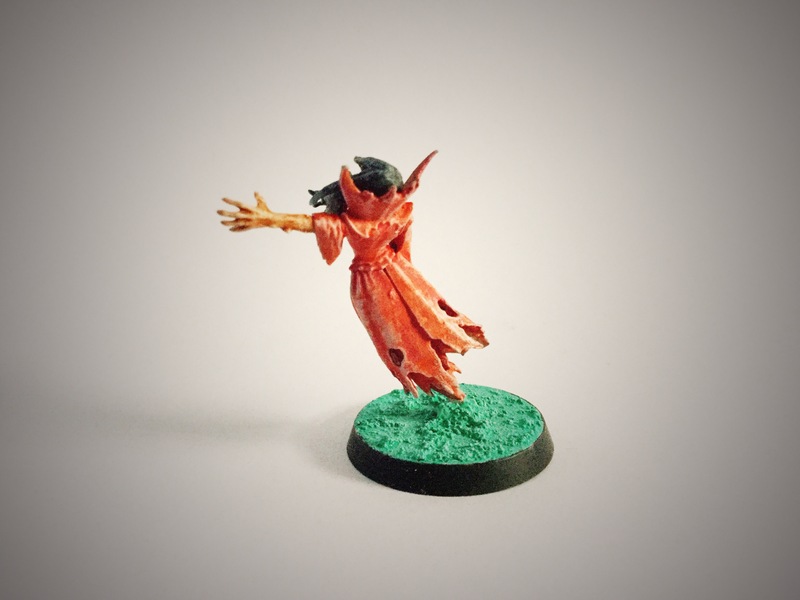 Already I have a kitbashed model of a hybrid Wood elf/ Ghoul as a Ghoul king, a female sorcerer that stands over her minions as the elder hag witch of the army. She’ll be like the Queen/ close advisor for the Abhorrent king, guiding him on battle plans and etc. King Ren, Abhorrent Ghoul King on Terrorgheist The king in all his majestic glory, riding upon his fabled beast as they take flight in a rainbow glow of light (that’s what Ren thinks in his grand illusion that is). In reality, the king is but a mad man in rags, riding on a corpse bat with the aroma of dark magic pouring out from the Kings being. 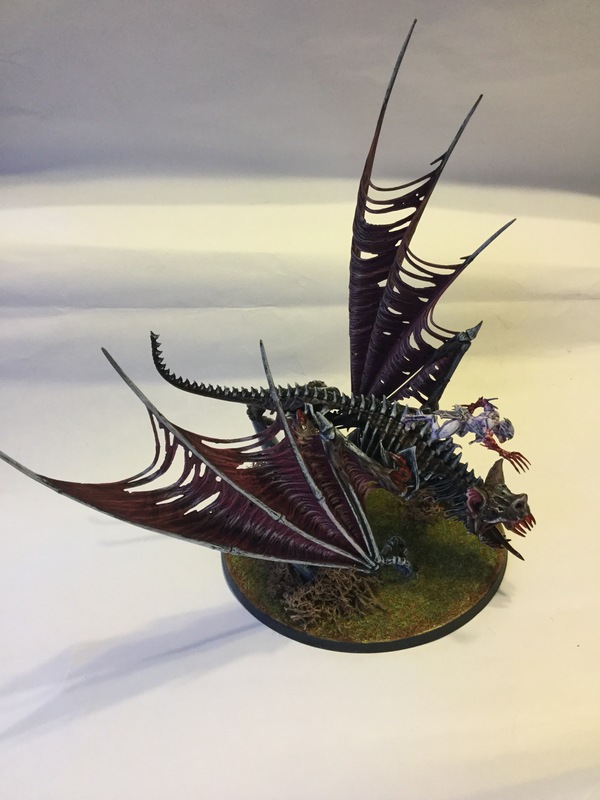 The model is probably my favourite so far out of the collection, it’s pretty big, especially the wings! 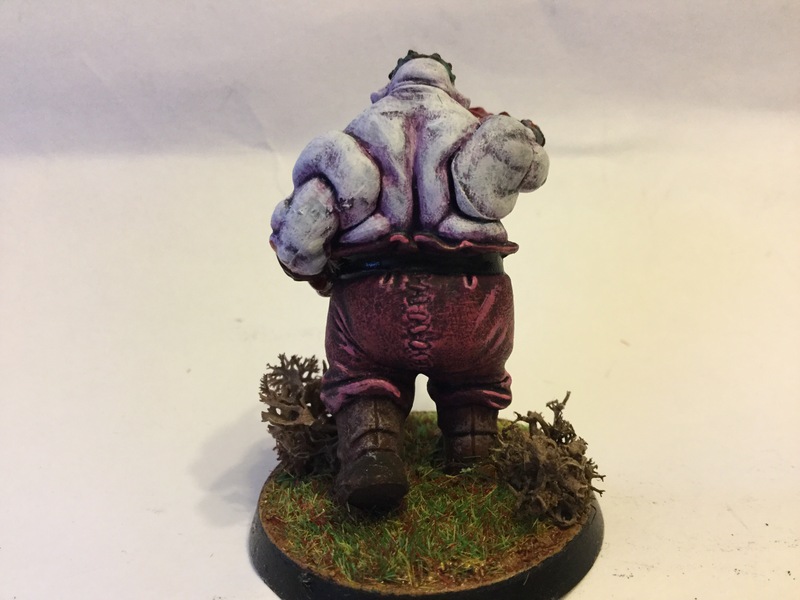 Painting the model was a joy to do, as I’ve tried out different layer applications to the model. The wings especially, I like how they looked once they were painted. 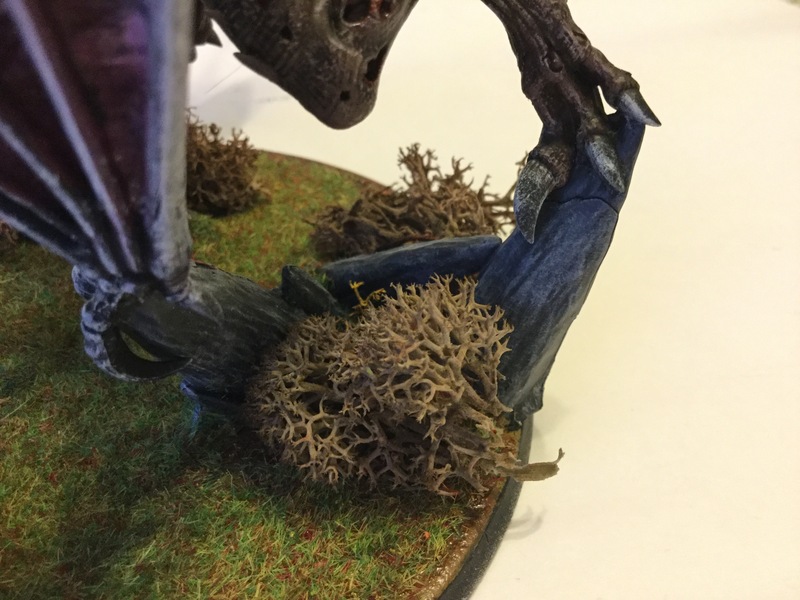 Elder Hag Queen, Hexter (Sycophant) The Queen of the Ghouls, Hexter is the Elder Hag of the court, advising the king on serious matters involving magic based situations that threaten the court. 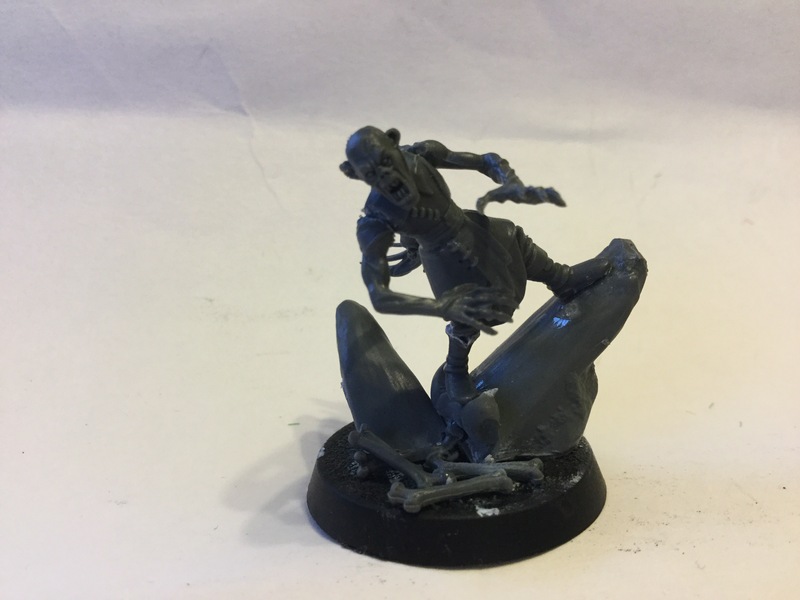 She also makes bone charms for the worthy warriors who have earned them by battle, taking them from the excessive bone growth of the Crypt Horrors. 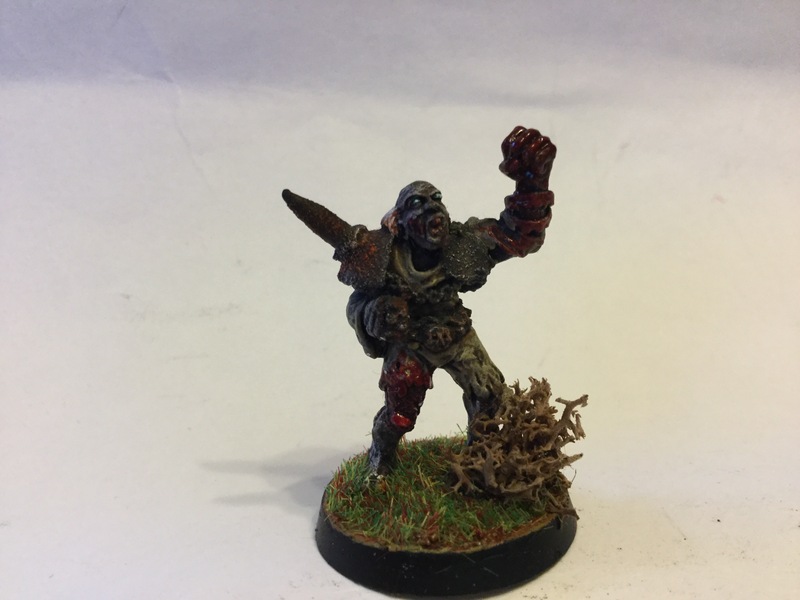 The model was kitbashed using a wood elf archer and some spare bitz from the Crypt Ghouls kit. I’ve altered the right foot to be slightly angled in place on a spare bone claw, so she can be glued in place on the rock easily. 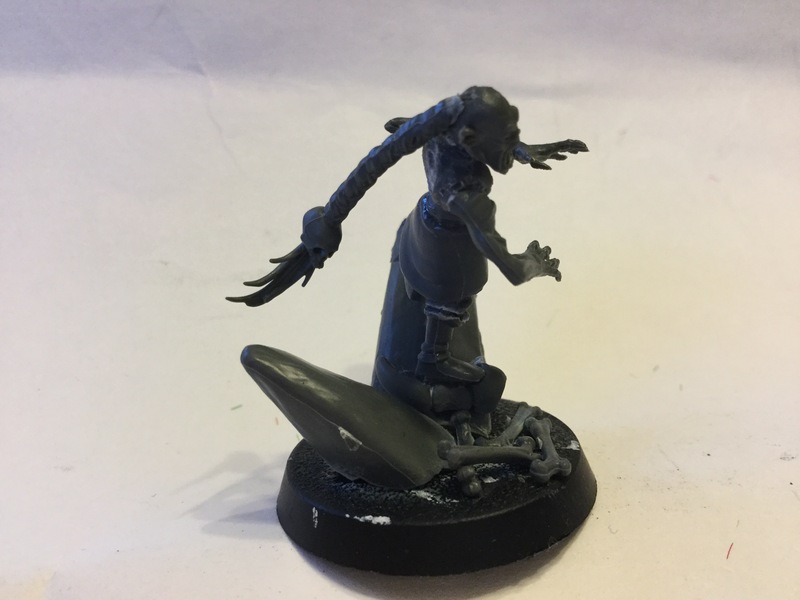 The pony tail was taken from the Verminlord kit and shortend down to fit onto the model at the right length. Frostbone knights (Crypt Horrors) The Frostbone Knights serve their Haunter lord, who attend the court to prepare the kings feast. However, on the battlefield they serve as the living shield wall for their master from artillery strikes. 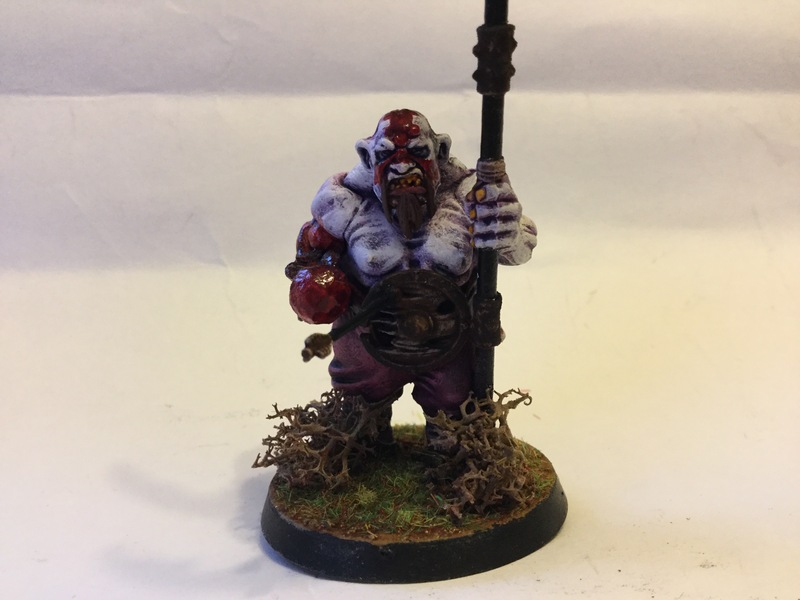 Where these ogres come from is a mystery to scholars and bards across Aqshy, however, they predict that these ogres follow Gorkamorka in the aspect of death and endless hunger. They’re also concerned as to why the banner holders of the unit hold an icon of the stag, could it be linked to the courts past, or even its religious deity? 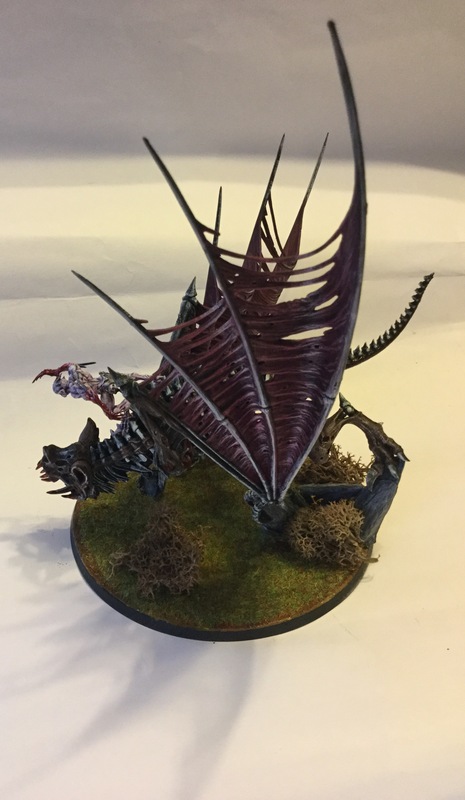 Crypt Haunter ‘Face of Nagash’ Face hidden beneath a rusty iron helmet, the Haunter is an ambassador of the undead legion of Nagash. 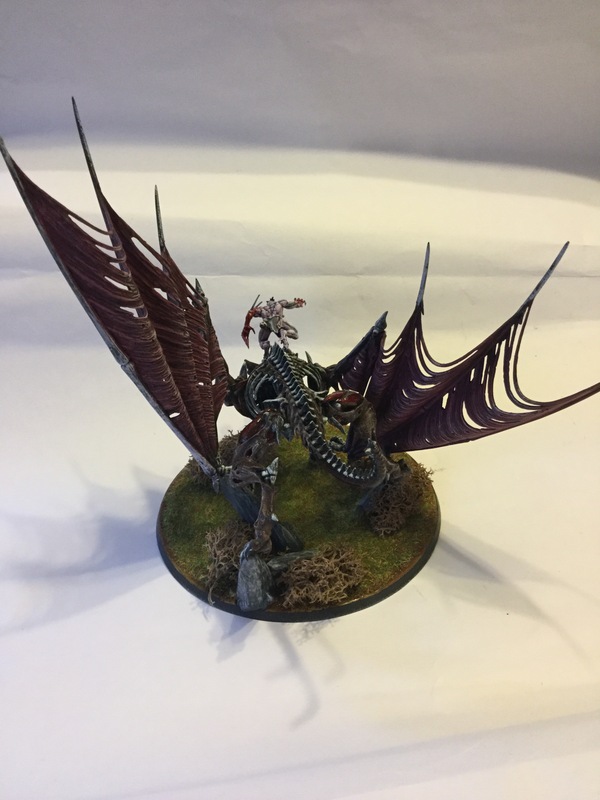 The court attendants distrust him with scrutiny to his every move, however Ren sees this have an opportunity to bolster his forces with alligence to Nagash. Only time will tell if this allegiance will be succeful, or dammning to the courts existence. 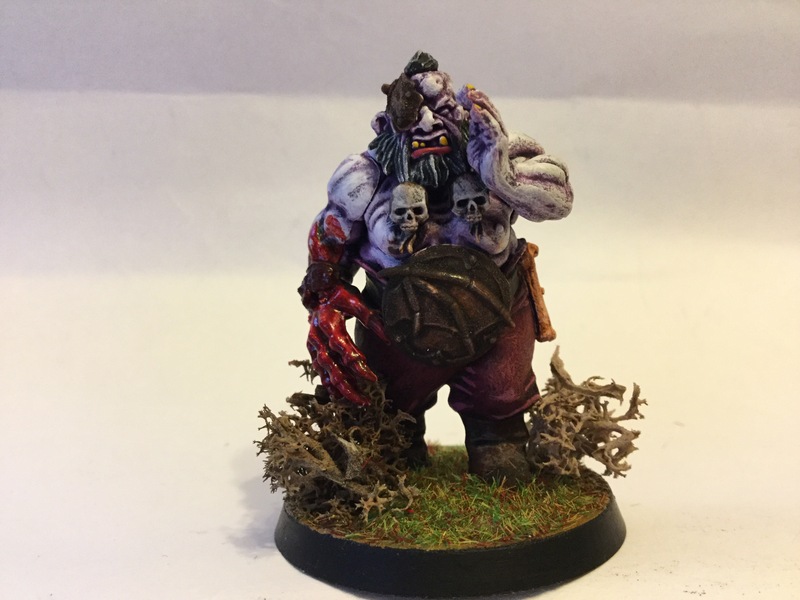 Crypt Haunter, attendant at court The butcher of the court, this Haunter is the kings closest friend as allies, fighting in the name of the Liverbone court. His skills are far superior to his Crypt Courtiers, who dally about whilst he does the reaping in battle. I tried to make this model look similar to his warrior kin, whilst also making sure to make him look more old and wise. 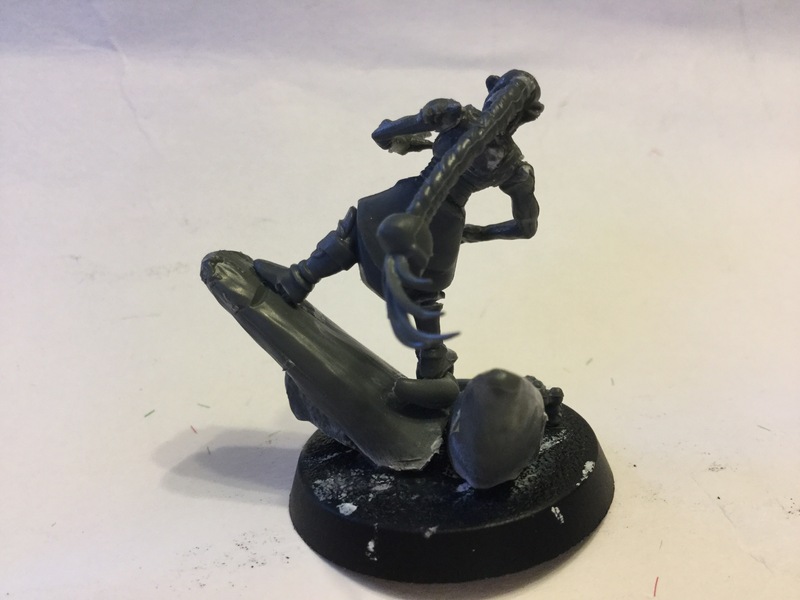 The old bones growing out of him are a testement to his age and wisdom to the court, which are cut down for trinkets to his favoured warriors of the Frostbone Knights. 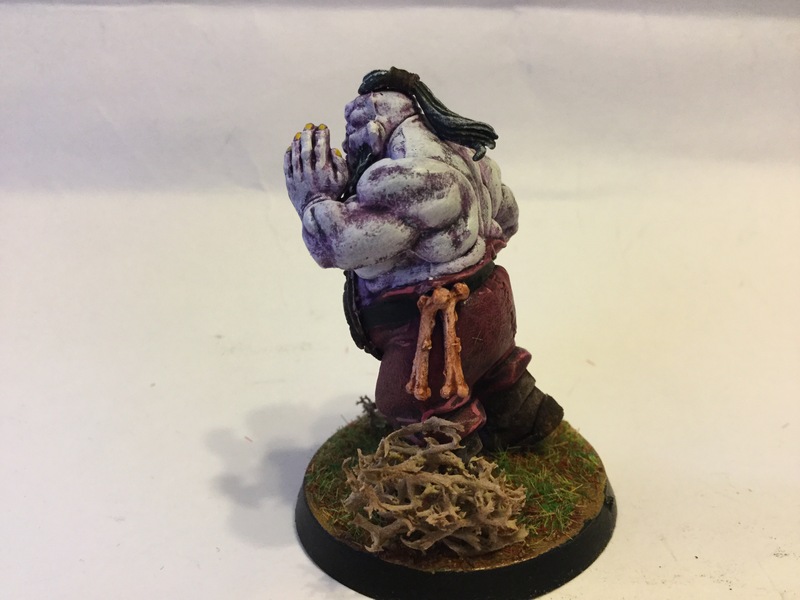 The model isn’t completed yet, although he looks exceptionaly good so far in the painting process. Prince Alister (Sycophant) Just as mad as his farther, Alister takes great pride in yapping about his excellence and grandure for his royal linage. Some of his men are aspired by his deeds and honour, whilst others just want to shove troll waste down his greasy mouth for peace of mind. The Crypt Courtiers These two are the kings frontline leaders, ordering the minions to advance, patrol and spy on the enemy territory for new land to take. 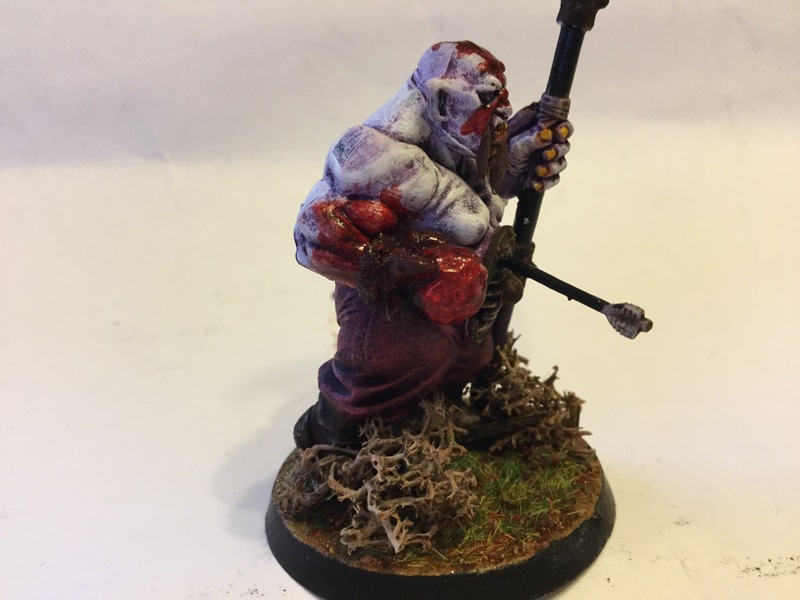 One is the courts youngest partrol leader in the courts history, whilst the other is an outcast ghoul from a fallen court who’s joined the court for his experience as a leader. Hope you guys have enjoyed this post. They’ll be more updates on this collection in the near future, so keep an eye out in a couple of weeks for the next update. If you have any questions, post a comment below, and I’ll reply back as soon as I can. Thanks! Have a great week, and hope the winter snow doesn’t ruin your day this weekend. 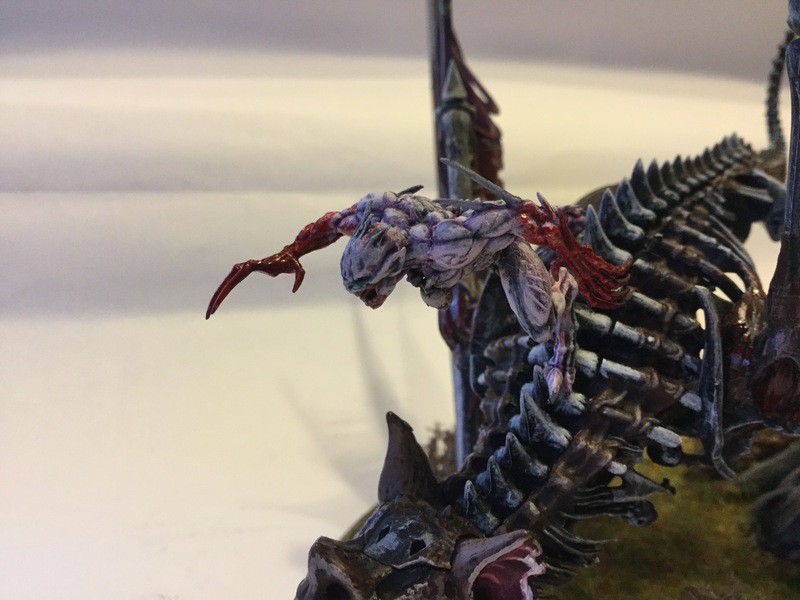 Today I’ve added a new model to the army collection, a Wight king. 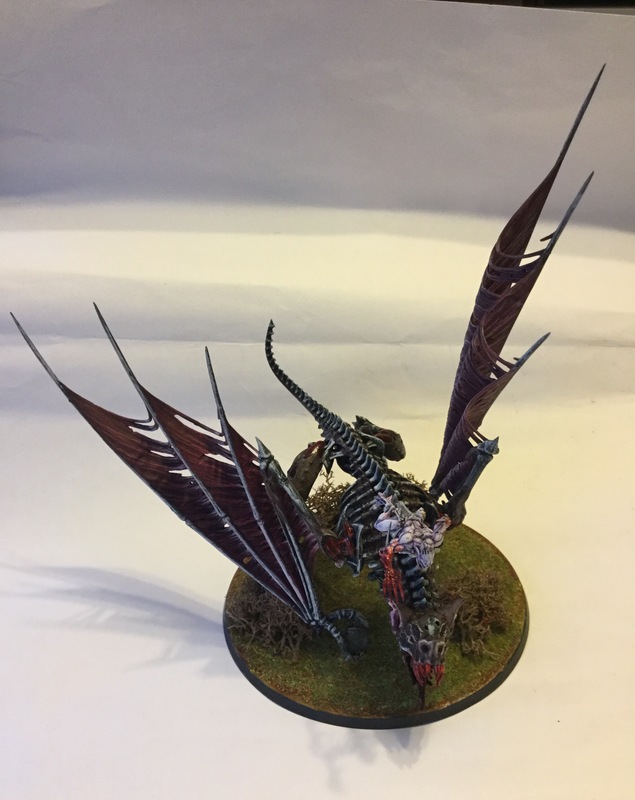 He will be leading the Deathrattle units, and close ties to Dovaskars legion. 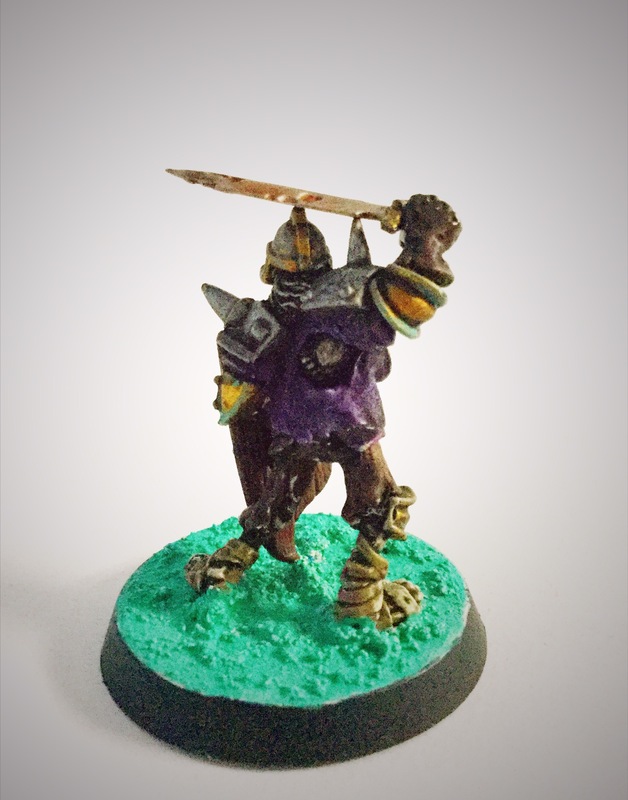 Funnily enough, this model is actually an old blood bowl model I found, whilst I was looking around at a charity shop. 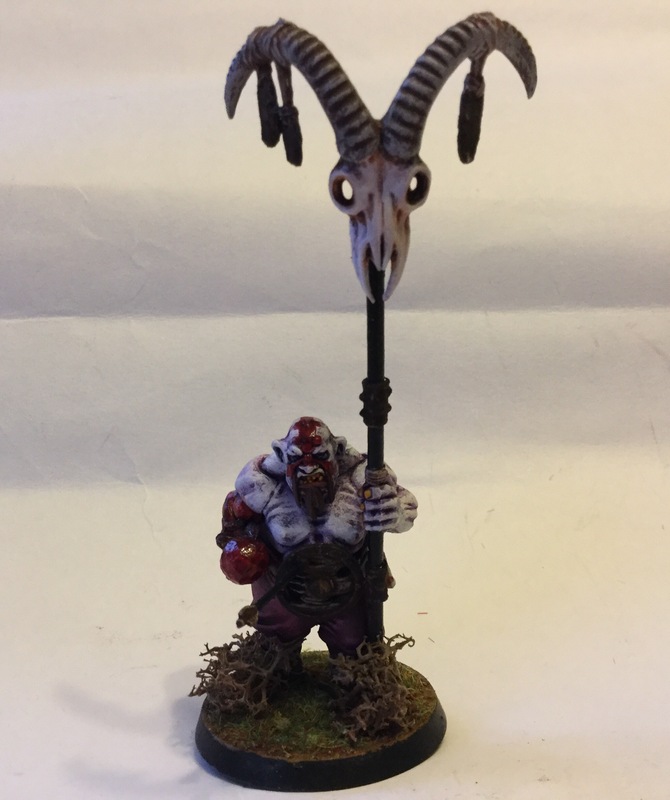 I added a shield and sword from the skeleton warriors kit, just to give him the weapons that his warscroll describes. 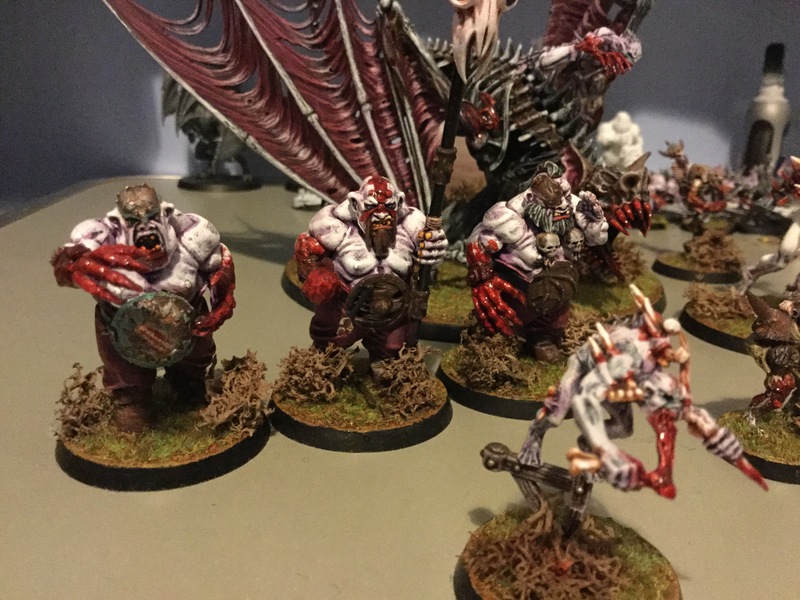 So without further or do, I present part 3 in ‘The Dovaskar Legacy’ series, enjoy! Before the fall of the Red Scarlet dynasty, Allthenius was the first to establish his empire long ago. He was born in the snowy valleys as a Frost Aelf, a race that are born to use frost magic and ice weapons. He was one of the many Frost Aelfs to travel through the ice valleys of Valykris, and through a realm gate into the realm of Ghur. There he set about building plans for a city of pure iron, a vast bastion of grey against the amber grasses of the Dawn crest mountain. Years down the line saw the King rule his kingdom with superiority and determination. His rulership was renowned to be fair for all races who live in his kingdom. But he can also be as stern as iron, fighting on the battlefields with a roar of frost breath from his majestic voice. But alas, it wouldn’t be long before he was fadeing from old age, and fell into deaths grasp. He passed on his mantle of responsibility as King to his only son and heir to the throne, Grendilis. From then on, the kingdom was a shadow of its former self. All of the nobles were divided and accused each other for their different ideologies for how the kingdom should be ruled. 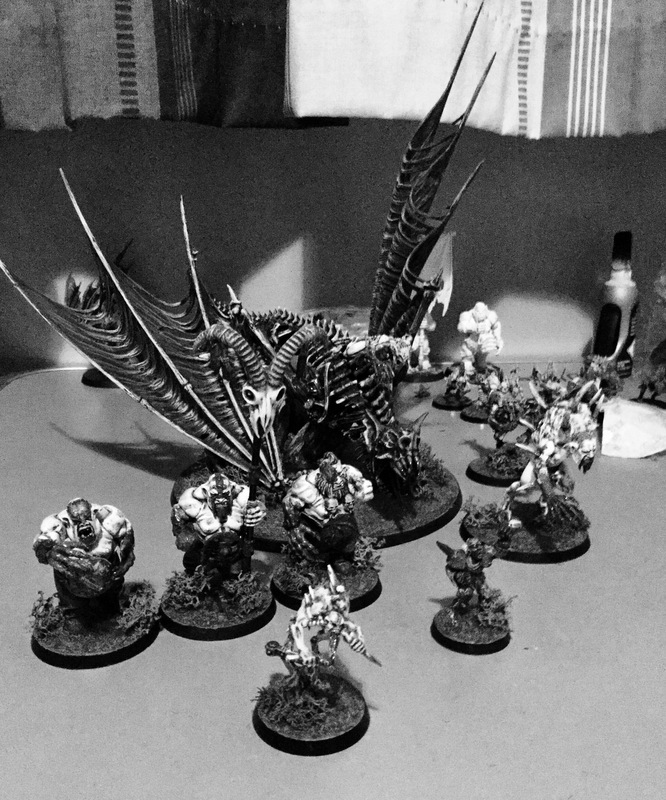 But all that changed when the Age of Chaos arrived, Nurgles daemon legions decimated everything that Allthenius had built, to ashes. Years later, Allthenius awoke from his deep slumber with wide blazing blue eyes. He roared as he broke his tomb open ,and limped out from the crypt to see what was outside, or what was left of it. All that was left was ashes, apart from a mass monolith citadel in the distance, that was once his castle. 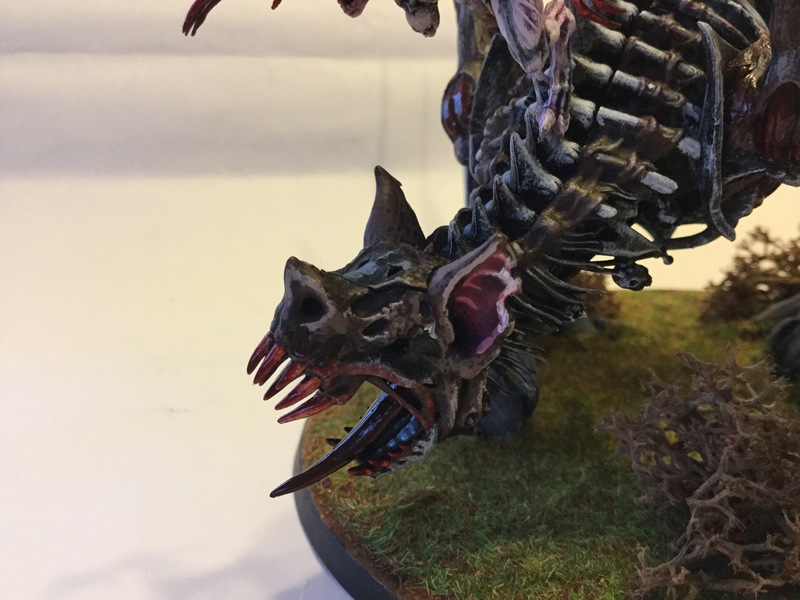 It was once made from pure iron, but now it was corrupted with Nurgles foul blessings and corruptions. Allthenius saw a looming shadow over him, and turned to see who or what was blotting out the green murky sky. A spectral being in form of a dark fog of pure dark magic spoke to him from beyond. The being introduced himself as Dovaskar, which Allthenius knew that name and bowed before his new master. 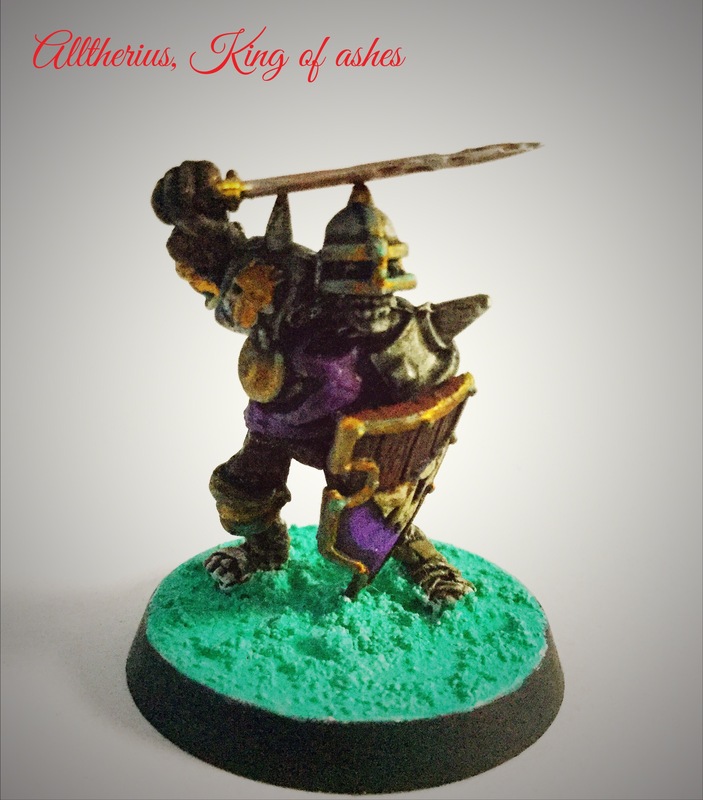 They both made an alliance that day, the King was given a title, Allthenius, King of ashes. 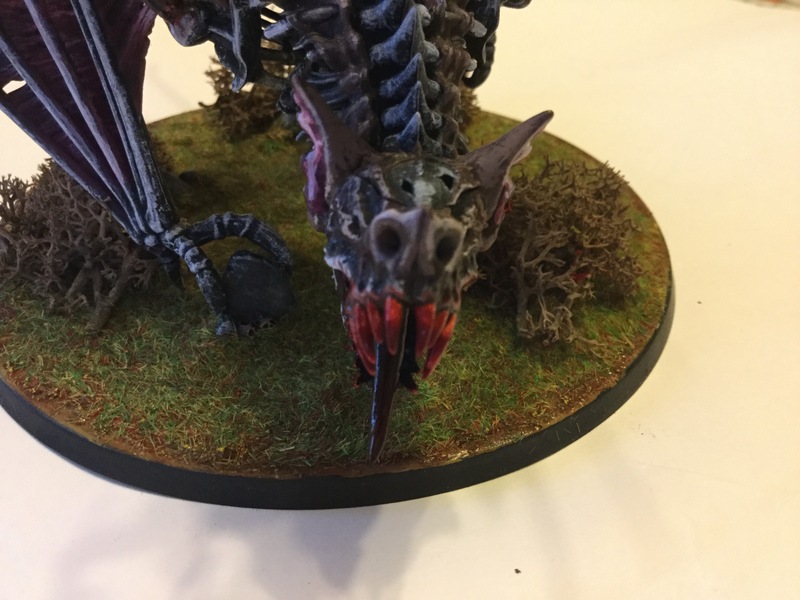 He and his master, as well as Dovaskars generals are planning their war against those who took their land, and to take back the monolith citedel from Nurgle. 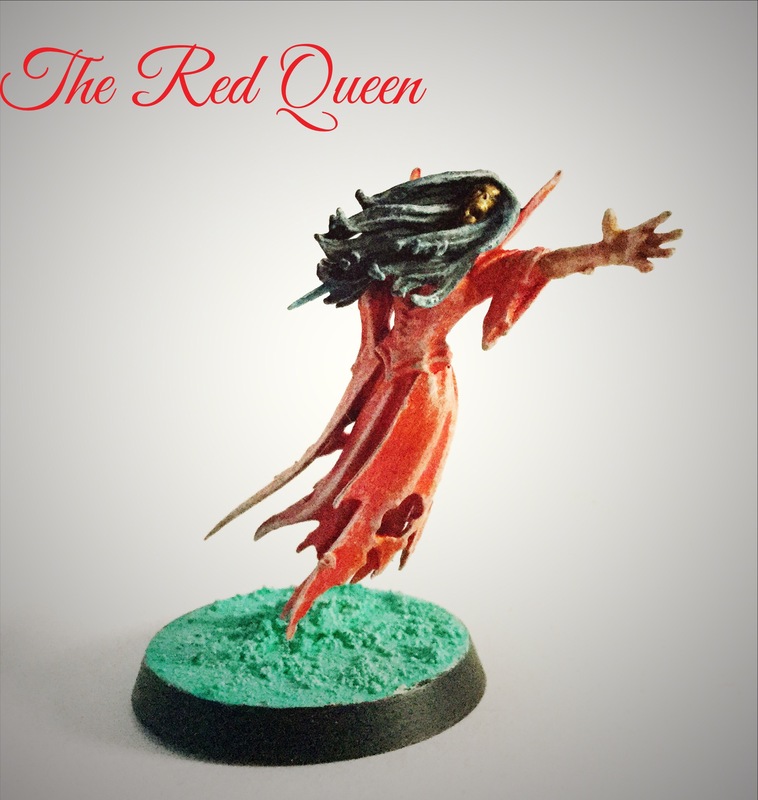 Today, present part two of The Dovaskar Legacy series, exploring one of Dovaskars ethereal allies, the mysterious Red Queen. Enjoy! Greykeep is known for its myths and lost legends of old, including some legends that still roam the village to this day. But none are so vastly infamous as the lady of mystery herself, ‘The Red Queen’. Her real name has been lost to the ages, since the Age of chaos began. All records of her true identity were destroyed during the fall of the Red Scarlet dynasty. All the souls of Greykeep are those who had fallen during the fall, many know each other from the past, but they have no knowledge of the accursed queen. 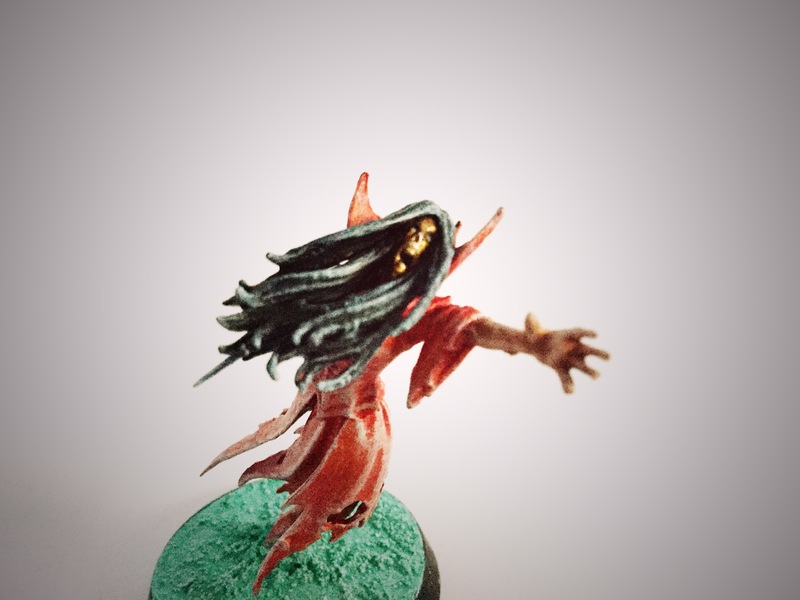 They say she my have been a Unknown necromancer who was killed by a hunting party of Nurgle spawns. Others say she may have been a hidden royal bloodline, hiding away as an embarrassment to her kin if her true origins were revealed. But alas, these are but theories from the lost, only Dovaskar knows of ‘The Red Queens’ origins. When war comes to the Ghur, in the ruins of the dead dynasty, the Queen will shriek her voice, and tear those who stand in her way.